A Friday Northwoods phenomenon is a weekly fish fry where it is not uncommon for lines to start forming before 5:00 pm. 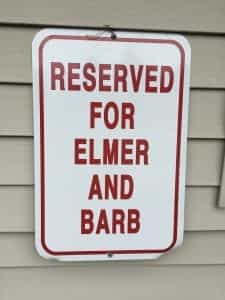 Evidently, the only parking space that is guaranteed at the Honey Bear in Eagle River is the one posted on the sign above! 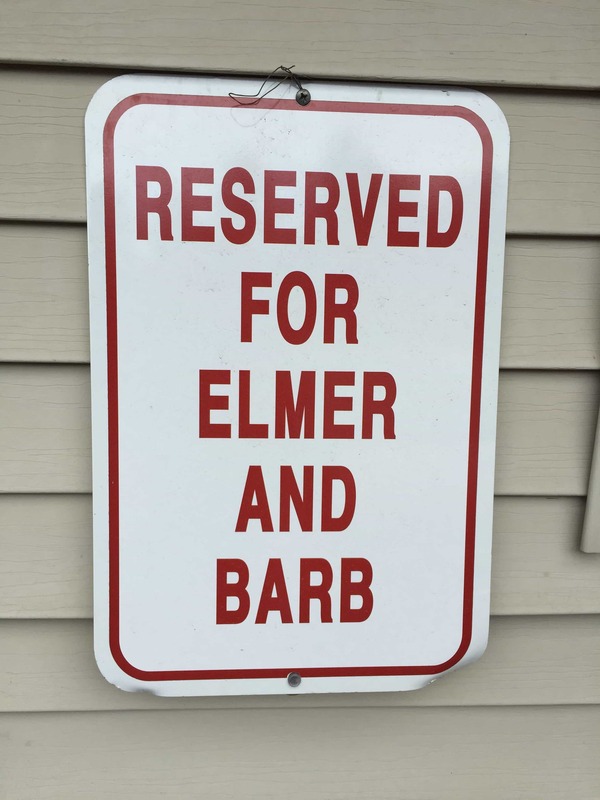 Elmer and Barb are not the only ones who have their spot reserved for 2017 – your son can, too! It is hard to believe that we are heading into the last week of summer 2016 – it has gone by really fast! The good news is that you don’t have to wait to enroll your camper(s) for summer 2017. You can reserve your spot now and take advantage of our early enrollment promotion for all 2016 campers! 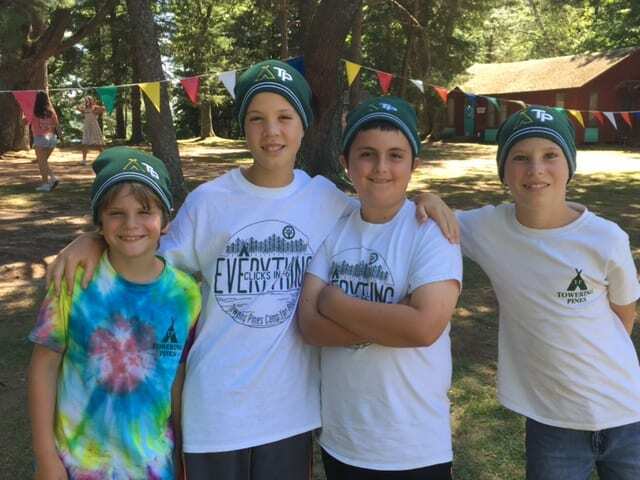 Just fill out the application before or when you come to camp to pick up your son(s) this weekend (or mail it in by August 9th). The deposit is $250 (instead of the usual $500) and there is a 5% discount on next year’s tuition. 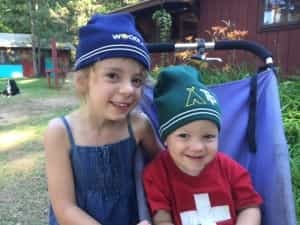 On top of that great deal, we are giving out a special Towering Pines Beanie as a thank-you for taking advantage of this one-time offer! p.s. The theme for 2017 is: Create Your Own Scene in 17!